Canoe Country Outfitters, founded by Bill and Barbara Rom in 1946, is one of the largest and most successful outfitters in the North Country. 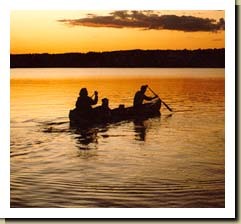 You will be fascinated by its smooth operation as you deal with friendly, competent, and experienced personnel who are well-versed in the ways of the canoe country and its trip routes. In 1975, Bob and Pat Olson purchased Canoe Country Outfitters. Roms. At present, Canoe Country Outfitters is owned and managed by Bob and Pat’s sons, Mark and Bob Jr. Mark and Bob Jr. both have years of experience in all aspects of the business operation, working full time for many years with their parents. They even worked for the Roms during the summers prior to that. As a full-service outfitter we are dedicated to providing personal service and the very best in food supplies, canoes, and camping equipment rentals. 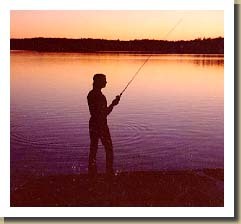 Providing camping and fishing trips is our only business so our entire attention is directed towards assuring you a safe, exciting, and memorable time. See our Canoe Trip Photos! Free trip routing and orientation is provided, whether you take complete or partial outfitting. Upon your arrival in Ely we’ll go over the detailed maps and indicate the best campsites, fishing holes, and scenic points of interest. Guide service is available if desired, but rarely is necessary. We operate from May through mid-October. May June July Aug. Sept.